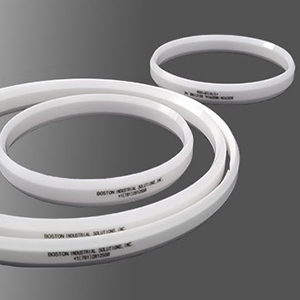 Boston Industrial Solutions, Inc. introduces ceramic rings for pad printer ink cups by Boston Industrial Solutions, Inc.
Boston Industrial Solutions, Inc. introduces ceramic rings for pad printer ink cups made of fine crystalline and higher density Zirconia (ZrO2). The ceramic rings will fit ink cups of: Autoroll, Comec, Techa Print, Pad Print Machinery (EPSVT), Mugen Seiki, Inkcups, Imtran, Pentex, Luen Hop, and many other pad printing machines. (1888PressRelease) January 29, 2019 - Woburn, Massachusetts - Ink manufacturing company, Boston Industrial Solutions, Inc. introduces ceramic rings for pad printer ink cups. The ceramic rings are universal and will fit on printing ink cups for pad printer machines. These are very high-quality ceramic rings. The ceramic rings for pad printer ink cups have an unmatched long life and performance compared to traditional ceramic rings. The reason is because the rings are made with fine crystalline and high-density Zirconia (ZrO2). As a result, our ceramic rings have a superior wear and chip-resistance compared to any other ceramic rings. This unique feature allows printing and decorating experts to increase production speed, reduce down time, increase efficiency and print more. The ceramic rings for pad printer ink cups are ideal to use with regular pad printing inks as well as our Natron™ SE Series and DC series printing silicone inks. These rings are replacement rings for pad printing equipment and will fit ink cups of: Autoroll, Comec, Techa Print, Pad Print Machinery (EPSVT), Mugen Seiki, Inkcups, Imtran, Pentex, Luen Hop, and many other pad printing machines.